Completing the Schedule C isn't difficult, but one of the toughest parts of the task is figuring out where everything goes. 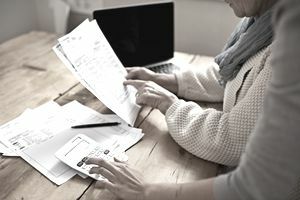 You want to be sure to include ALL legitimate business expenses, to keep your tax bill low, but there are many expenses that don't quite fit into the categories on Schedule C. This article focuses on miscellaneous expenses and looks at some expenses that might be confusing and offers some suggestions about where to put them. We're dealing with Schedule C-Profit or Loss from Business in this article, but the same principles apply to all business income tax forms, including those for partnerships, corporations, and S corporations. Unlike personal expenses, business expenses are, for the most part, deductible. But some business purchases may not be deductible. The list of the most common nondeductible business expenses is short, but it includes items like political or lobbying expenses, costs for club fees and dues, fines, and penalties. The term "miscellaneous" is defined as "various, diverse, mixed," and we usually use it for circumstances when we can't figure out what category to put an item in. Schedule C lists specific business expenses that you can deduct, on Lines 8 through 26, then "Other expenses" on Line 27a. The "other expenses" are miscellaneous. All of your business expenses must fit into either a specific category (lines 8 through 26) or in "other expenses (line 27a). When you complete Schedule C, start by looking at all of your business expenses from your end of year Income Statement (P&L). Put expenses into specific categories where possible. The categories on your P&L should match the categories of specific expenses on Schedule C. If they don't match, take some time to put all your year-end totals for expenses into these categories. Only those expenses that don't fit neatly into categories go into "Other expenses (miscellaneous). When you have determined which expenses will be included in "Other expenses, Line 27a" you will need to list these expenses in detail on Part V of Schedule C, then transfer the total to Line 27a. The more detail, the better. The following list shows various business expenses that may be miscellaneous ("other expenses" on line 27a in Schedule C), with suggestions about where they might be categorized. Qualifications for deducting some expenses are complicated, and some expenses may need to be amortized or depreciated over time, rather than being deducted as expenses in a single year. The suggestions in this list are based on IRS Publication 535: Business Expenses. This information is general and is not to be construed as tax or legal advice. Check with your tax advisor about individual questions or situations. Advertising expenses: Advertising, line 8. Bank fees, including overdraft fees: Other expenses. Car and truck expenses: Travel expenses, line 24a. If you are claiming car or truck expenses, you will also have to complete Part IV: Information about your vehicle. Club dues and membership fees: Other expenses. You may deduct costs for dues to professional organizations, and those organizations which you can show are necessary to conduct your business. You may not deduct dues to dues to personal or hobby clubs or groups, or dues/memberships paid to country clubs, recreation or social groups. Credit card convenience fees, late fees: Other expenses. Education and training expenses, for yourself as a business owner or for your employees: Other expenses. An education expense for business owners may only be deducted if it "maintains or improves skills required in your trade or business," or that it is required by law or regulations for maintaining a license to practice, status, or job. Read more about deductions for educational expenses for owners and employees in IRS Publication 970. Travel expenses related to deductible education expenses, for business owners or employees, is included in Travel expenses. Home office expenses may be deductible. Direct expenses for a home office, like purchase of a laptop or filing cabinets, can be included in office expenses. Other costs, that are shared between the home office and personal use, like phones, are not deductible in the same way as business expenses for a non-home location. See this article on home office expenses for more information. Fees associated with the purchase of a franchise, trademark/service mark, or trade name: Other expenses. But, if these expenses are part of your purchase of a business or of your business startup, they may need to be amortized rather than listed as expenses. Check with your tax advisor. Tax preparation fees for your business tax return (not your personal tax return) and business accounting services: Legal and professional services (Line 17a). Internet-related expenses. If you are just starting into business, internet setup fees should go into your startup costs, and they may need to be amortized. Otherwise, they may be listed in Other expenses. Licenses and regulatory fees: Licenses and regulatory fees for your trade or business paid annually to state or local governments generally are deductible as Other expenses. Some types of licenses must be amortized (spread out over time). Amounts spent with petty cash, like food for meetings or parking fees, may be listed in Other expenses. Generally, the cost of moving machinery from one city to another is a deductible expense. So is the cost of moving machinery from one plant to another, or from one part of your plant to another. You can deduct the cost of installing the machinery in the new location. However, you must capitalize the costs of installing or moving newly purchased machinery. Capitalizing costs means considering the purchases as assets and depreciating them. Outplacement services: These are expenses for helping employees who are laid off. Repairs and Maintenance expenses: Repairs and Maintenance, Line 21 of Schedule C.
Subscriptions to trade, professional, and technical journals that are used by you and your employees are deductible as Other expenses. Subscriptions to general magazines that are used in a waiting room or for customer use are not deductible. Utilities are deductible on Line 25. These include heat, lights, power, water, and sewerage. You might also consider monthly internet services as utilities. DISCLAIMER: The author is not a CPA or attorney, and nothing on this site in articles, emails, blog posts, or other communications is intended to be tax or legal advice. The purpose of this site is to provide general information to readers. No claim is made regarding the accuracy or legal status of information on this site. Federal, state, and local laws and regulations change, and every business situation is unique. Readers should not take action on any tax or legal matter without reviewing options with a tax advisor or attorney.